The knowledge of the changes in rental legislation that WSB brought in gave Van Hell jewellers a wonderful, profitable opportunity to move into a far superior A location in Apeldoorn after negotiating good conditions. The store experience design was based on a technical shop scan by WSB. Retail Design and Retail Construction Management. Subsequently, there was plenty of space to develop an attractive shop full of luxury brands together with Ab van Hell. WSB is responsible for the retail design and the turn-key shop design for Van Hell Jewellers. 222 m2 luxury presentation of top brands. 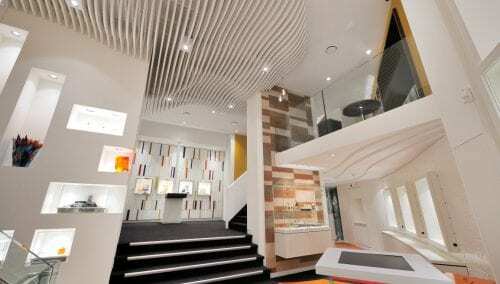 Internationally leading retail architects work with WSB, creating store concepts in fashion, design of shoe shops, store interiors for jewellers, design of optician shops. WSB is active in the Netherlands, Germany, Belgium, Luxembourg and France. WSB works for both fashion brands and individual shops. Also check www.wsbshopfitting.com/jeweler/. Every creative challenge starts with a strategic concept dialogue to carefully design the Retail Marketing Strategy: Who are you and what do you want to achieve? What is the DNA of customer-product-environment? The DNA of the shop becomes visible in the designs phase and is shaped in the realisation phase. That is the vision and mission as a basis of our commercial shop design. 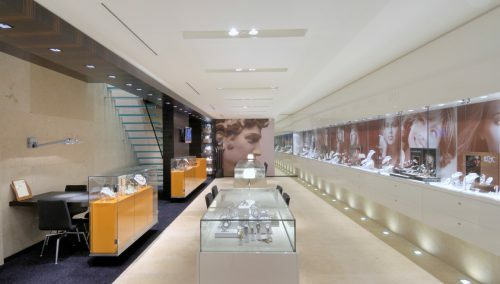 The jeweller company with branches in Amersfoort (click here to check out the design of the Amersfoort jewellery shop) and Apeldoorn has delivered quality and service since 1933. 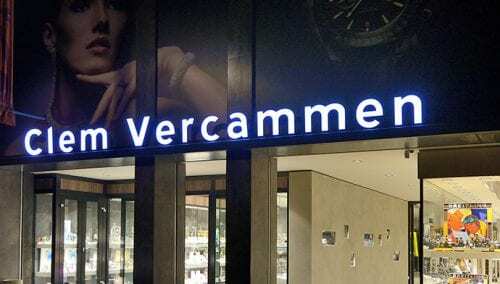 The Apeldoorn branch opened in 1993 when Van Hell took over Fabery De Jonge jewellers. Ab van Hell and his expert team are happy to show you the watch collections of top brands, including Baume & Mercier, Christiaan van der Klaauw and MeisterSinger, and jewellery by leading designers such as BRON and Schoeffel. With over 80 years of experience, Van Hell Jewellers understands good service provision like no other, based on thorough knowledge.